Steve Botuchis is one of only a dozen ACMOS practitioners in the United States. Steve trained in Europe with Rene Naccachian the founder of ACMOS. Steve Botuchis currently practices ACMOS in his office located in Cincinnati, Ohio. ACMOS is an energy balancing protocol that works at the deepest cellular level using the ancient principles of Chinese Medicine. It is designed to balance the body on a priority level working on the underlying cause of a problem. Unlike Western Medicine that treats symptoms, the ACMOS technique addresses the cause which is often in the energetic system. This is where most physical problems start. Treating the energy body often prevents physical symptoms from manifesting. Treating the energy system also speeds up the physical healing process in many instances. 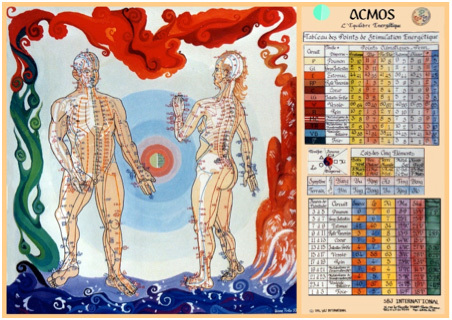 Although ACMOS treats the meridian system and is based on the ancient art of Acupuncture, needles are not used. Acupuncture points are stimulated with frequencies from a wide range of products such as oils, minerals, herbs, and homeopathy as well as electronic stimulation. The body is tuned up much like a musical instrument. ACMOS was developed by DR. Rene Naccachian. He is an engineer by profession and a researcher of energetic medicine by vocation. With a doctorate in Engineering, Oriental Medicine and Molecular Biology he has used this knowledge to marry the best of Oriental Medicine with the best of Western technology and science. The medicine of the third millennium is here. ACMOS resulted from the considerable research carried out since 1985 by René NACCACHIAN. René is an engineer, researcher in biophysics, a bioenergetician and a Doctor in energetic medicine, sciences and molecular biology. The ACMOS Method and its extremely sophisticated equipment, are the results of proven fundamental discoveries. Today the progress that has been made in improved health by the application of the ACMOS Method is measurable and considerable. In the face of a tension or an aggression, the body searches to re-establish its global energy balance, by managing the circulation of energy in its circuits. It does this by controlling the energy flow, by blocking it, by switching it off, by slowing it down, or by accelerating the energetic currents blockage. These actions of defense by the body work at the level of the acupuncture points. The action of the acupuncture points can be compared to the wiring in a house. When circuits get overloaded a fuse is blown and a circuit breaker shuts down. ACMOS aims to turn the circuit break back on and establish the flow of electricity through the organs and body. From the very first consultation, the ACMOS Method seeks to enable the human body to regain lost control of its energetic circuits and to re-establish their natural harmonies and reactivate the body's extraordinary abilities of self healing. It achieves this by following a rigorous protocol. . The measurements are undertaken using precise equipment designed specifically to measure energy fields. ACMOS can also assist with the verifying the compatibility and dosage of medicines taken. An illness manifested through physical symptoms reflects an energetic imbalance that is deeply rooted within the body. The surface symptoms visible at the surface of the body, ought to be seen as warnings indications of the imbalance of energy within. The main benefit of the ACMOS Method is the way it involves the use of deep searches within the body for the cause of illnesses. These include seeking factors which may be of a hereditary origin that might be the source of an individual's problem. These external symptoms by their nature are the expression of the illness, and not the deep seated cause. By achieving an overall energetic global balance long lasting relief is accomplished. 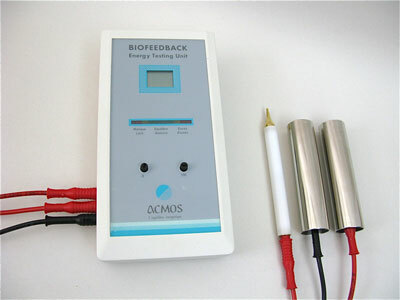 The ACMOS Method relies upon the measurement and analysis of different fields of electro-magnetic energy and circuits within the human body. These measurements give precise information of the cells within the body which constitute the body in three dimensions: physical, emotional and psychological. ACMOS is interested the measurement of three energetic fields: the "vibratory " field, the "centripetal" field, and the "centrifugal" field. The measurement of these fields is carried out, using the ACMOS Lecher Antenna, developed by René Naccachian. The second stage measures g the energetic potential of each organic circuit and of the body’s metabolism. This evaluation enables the identification of possible energetic blockages that require removal. This frees the circulation of energy to the body’s organs, so they may receive optimum nutritional elements. This is measured in a very precise manner using the ACMOS 7 Biofeedback Tester. The patient can also hold medications and using the Biofeedback tester the effect of these medications on organs can be identified.. The Acmodermil Stimulator enables vibratory stimulation of the acupuncture points of the body, but without the need to penetrate the skin or the fear of contamination. It clears the blockage identified by the tester and then regulates the circulation of energy that has been disturbed. The personal and global balance of an individual is measured with great precision. Each individual is unique and when symptoms of an illness appear, they are the result of that individuals hereditary predisposition. That is the result of suffering physical or psychological shocks, that have not been cleared and removed, or properly regulated within the body. It is highly important during an ACMOS energetic balance to precisely consider causal factors attributable to an individuals illness. An energetic balance undertaken periodically according to the needs of the individual, serves as a form of preventative maintenance that reveals energetic imbalances, and thus allows for the correction of disturbances within the body’s energy fields, before they develop into symptomatic illness. By strengthening the body energetically, the body is better able to cope with the diverse aggressions with which it is faced. It can enable the early detection of the presence of a dysfunction that may well be invisible to traditional imaging equipment, thus allowing a much less invasive and traumatising treatment. The range of natural ACMOS products, has been carefully selected and developed. They have been incorporated to form the contents of the ACMOS Valise, a veritable box of fuses for the human body. These regulators (essential oils, minerals, trace elements, homeopathic and herbal remedies …) enable the re-establishment of the body’s energetic harmonies. 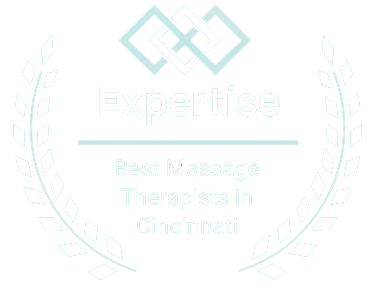 They are used precisely at the point on the body where their energetic vibratory quality is required. . The ACMOS Method indicates with precision the compatibility and the dosage of necessarily prescribed medicines. When a medical treatment is being followed, it is essential for the person concerned, to be balanced energetically, in order that the ill organ or disturbed function within the body, does not oppose its medicines and treatment. By re-establishing the lines of energetic harmony, this reinforces the body’s natural defence and immune systems and optimises immediately the treatment that is being received. The major benefit of this potentialising lies in the resulting reduction of the dosage and the period of time for taking any prescribed necessary medications. Compatibility analysis is very important. This enables medications and nutrients the patient is taking to be analyzed for compatibility. Many times medications cause side effedt and these die seffects can be neutralized with ACMOS. the result is that the medication works better.